If you are anything like me, you have spent a shameful amount of money on blogging resources, ebooks, courses, and more trying to find the secret to blogging. If you haven’t, you are pretty darn lucky that you have found this first. Before I tell you more, I want to let you in on a secret. There is no secret formula to blogging. What works amazingly well for one person, might not work at all for another. There are unlimited resources and bloggers out there insisting that their way is the right way but it’s just not that black and white. I have several reviews up on this blog for the various products I have used and loved. Honestly, I have never followed any of their advice or lessons 100%. Each new method has to be carefully tested and adapted to fit your own unique blog, style, and life. So what if there was a resource that was full of valuable information that was ready to be used by any blogger in exactly the way they need to use it? Guess what, there is. It’s called Blog Biz School and I cannot rave about it enough. I have been following Chantel’s blog and facebook page, for quite some time now. I have always found so much value in all of her content. When she launched Blog Biz School for beta testing, I signed up right away. By now I’m sure you’re wondering, what’s included in the school? I can’t go over EVERYTHING in the school, because honestly that would take days to review and I haven’t even been able to check everything out yet even though I’ve been in the school for months. It’s just that big! Here’s a quick review of the resources I’ve looked at and used so far. What do you get with Blog Biz School? Blog Biz Shortcuts – Hands down, my favorite resource included is the Blog Biz Shortcuts. Inside you’ll find things such as creating blog content, building your email list, blog post title templates, email templates, blog series ideas, and cheat sheets for more than you can imagine. The cost of admission is more than worth it just for these shortcuts!  Planners – The Blog Biz planner makes it fun and easy to track every aspect of your blog and business. Monthly and yearly blog stat pages, annual blog goal planner, income tracker, and so much more. If the Blog Biz Planner isn’t enough, there are 22 other printable business and blog planners included. Some of these include an affiliate marketing planner, blog content planner, Instagram marketing planner, and the passive income planner. I’ve been in the school for a few months now and these are just the planners I’ve started using already, but there is so much more! Courses – There are courses for bloggers in all stages of blogging. For brand new beginners, there is the “How to Start a Money Making Blog Mini Course” and for seasoned bloggers, there are affiliate marketing, passive income, and sales funnel courses. There are so many more courses in the school. The lifetime enrollment option for Blog Biz School is $197. I know this seems like a lot, but when you look at all of the valuable information included, you’re really paying just pennies for each resource. Plus you get instant access to all new content ever added to the school at no extra charge. If that is too much to bite off at once, you can now sign up for the monthly membership option which is only $9 each month. 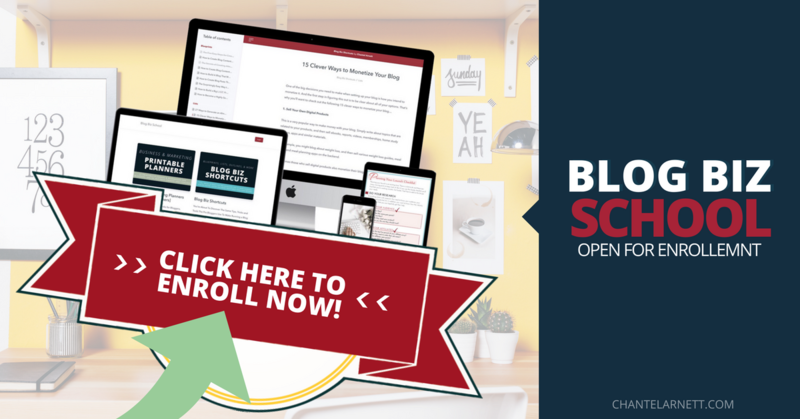 Blog Biz School is extremely useful for bloggers in any stage of their blogging journey. Chantel has provided so much valuable information and made it ridiculously easy to navigate. I am absolutely blown away by the resources she has provided. Now when I have a question about blogging, I look to see if there is anything to help.I haven’t been disappointed yet! It’s much quicker than browsing Pinterest for hours, getting distracted, then finding the perfect resource only to find out it cost way more than I want to spend on ANOTHER course I probably won’t complete. Even in just a few months, I have already gained so much from this course, I promise you its worth it’s weight in gold and either payment option is a STEAL for all you will be getting and how easy it all is to navigate. If you join the school and love it as much as I do, you can even become an affiliate like me and help spread the word while earning a little commission money. >> Click here << or on one of the banners to learn more or to enroll in Blog Biz school today.